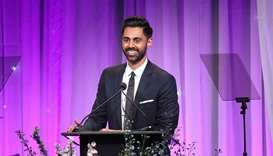 A rights group on Wednesday criticized Saudi Arabia after Netflix blocked an episode of a comedy show that lambasted powerful Saudi Crown Prince Mohammed bin Salman. 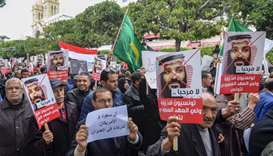 Hundreds of Tunisian protesters marched through the capital Tunis in opposition to a planned visit Tuesday by Saudi Crown Prince Mohammed bin Salman, urging justice over the murder of journalist Jamal Khashoggi. 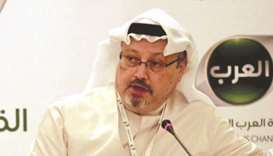 The CIA believes Saudi Crown Prince Mohammed bin Salman ordered the killing of journalist Jamal Khashoggi in Istanbul, sources familiar with the matter said on Friday. 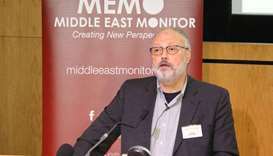 Saudi Arabia said on Saturday a missing journalist had died in a fight inside its Istanbul consulate and it had fired two senior officials over his death, an account President Donald Trump said was credible but US lawmakers found hard to believe. 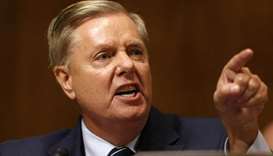 An influential US Senate ally of President Donald Trump pledged yesterday that Congress would take decisive action against Saudi Arabia over a missing writer, calling for the ouster of Crown Prince Mohamed bin Salman..
President Donald Trump met with Saudi Arabia's Deputy Crown Prince Mohammed bin Salman at the White House on Tuesday for a discussion that was likely to touch on investment opportunities in the kingdom and efforts to stop the war in Syria. 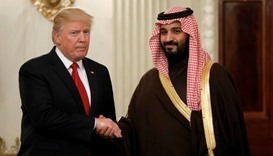 US President Barack Obama hosted youthful Saudi Arabian Prince Mohammed bin Salman at the White House Friday, underscoring his guest's meteoric rise and increasingly pivotal role in managing strained US-Saudi ties. 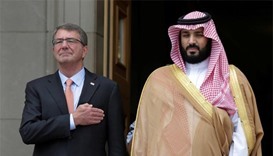 US President Barack Obama will meet with Saudi Arabia's powerful deputy crown prince on Friday and the two are expected to discuss conflicts in the Middle East including the campaign against Islamic State.